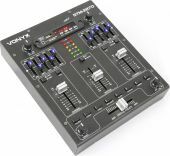 This 4-channel compact mixer is ideal for start up DJs or small gigs. The STM2270 combines technical features with a table top design. 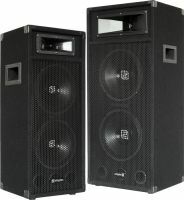 Among the features are a BT receiver and MP3 player. 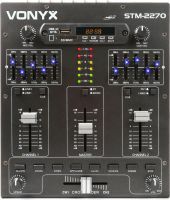 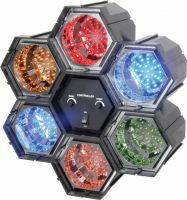 As extra the STM2270 is equipped with 8 fully customizable effects.